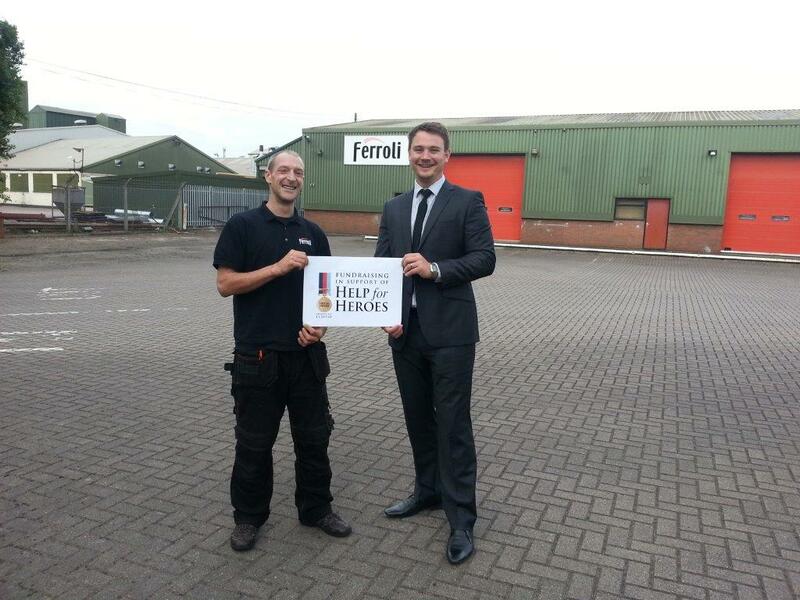 Ferroli’s Paul Johnson and Mark Sworder will be taking the ultimate fundraising challenge on August 28th when they fling themselves out of a plane at 15,000 feet in aid of Help for Heroes. Not ones to do things by half, Paul and Mark have chosen the UK’s highest skydive of 15,000 feet at Hibaldstow Skydiving Centre in Lincolnshire for their very first experience of this extreme sport, and hope their supporters will reward their courage by digging deep. Mark and Paul, Ferroli’s Field Operations Manager, will freefall for 60 seconds before releasing their parachutes for a five minute descent to the ground. The whole experience will be filmed, including pre-jump training, an interview before the jump, the flight up and the jump itself. Check back on this page or on our YouTube channel after the event to see the footage and find out how much Paul and Mark raise for Help for Heroes.